Redd‘s Biergarten officially opens on Monday. Here’s a view from the restaurant’s soft opening. Yesterday marked the second day of Redd’s Biergarten’s run of “soft opening” dates ahead of its full opening this coming Monday, April 18th, at 11 a.m.
Gone were the sawdust and sounds of construction. They were replaced with the din of invited patrons’ banter; the classic rock tunes of a three-piece band; and the low hum of the buzzers that signal to customers that their food is ready at the restaurant’s pickup windows. 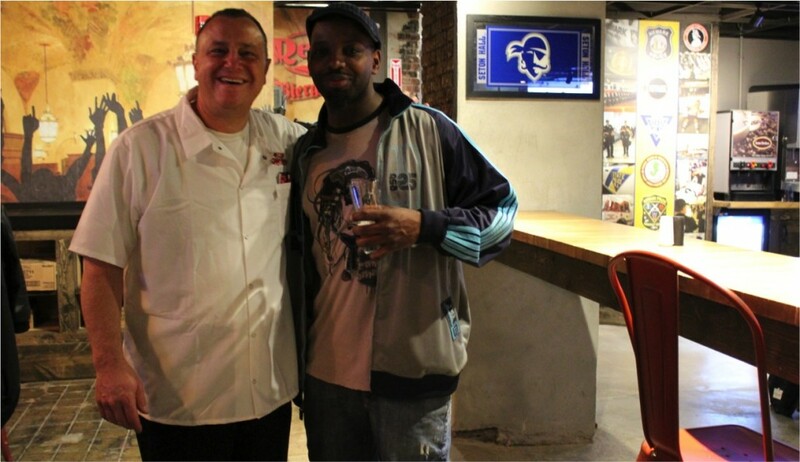 Dan Palsi poses with Newark native Billy Thompson, who was also a regular at Redd’s Restaurant in Carlstadt, New Jersey. The opening, which doubled as a test run for the restaurant’s newly trained staff (fans of the television show Bar Rescue might think of the show’s “stress tests,” minus the artificially inflated crowds and bar guru Jon Taffer’s screaming), saw the bar’s principals, including brothers Doug and Dan Palsi, hustling about the restaurant, meeting and greeting patrons, and consulting with staff. Several elements that Dan Palsi teased during our preview walkthrough came into full view during the opening: the wall of large photographs touting Newark’s beer history in the hallway leading to the main dining room (or festhalle in German), which is flanked by two long bars; the digital display menus and jukebox that lend a modern touch to the interior’s traditional trappings; the women of the staff wearing German-inspired outfits, while the men wore polo shirts featuring large pretzels emblazoned on the front; and the pretzels themselves, which are gigantic and were ceremoniously offered up to customers with a tasty cheese-and-mustard dipping sauce on the side, their size a compliment to the large beer steins dotting the bar and dining room, and topped up with some of the 20 beers Redd’s offers on tap. 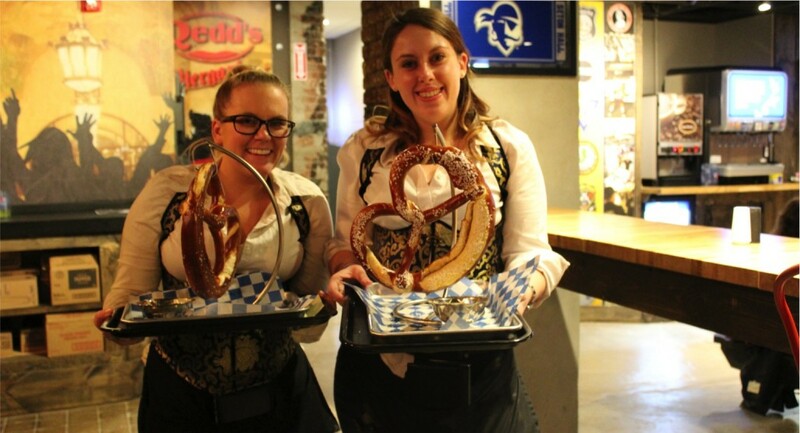 Redd’s staff post with large Bavarian soft pretzels. While it’s easy to see Devil’s fans, a decidedly beer swigging group, filling Redd’s to the hilt on game nights as they do the beer garden’s neighbors, Taste Venue and Edison Ale House, the restaurant actually opened just after the team’s season ended. 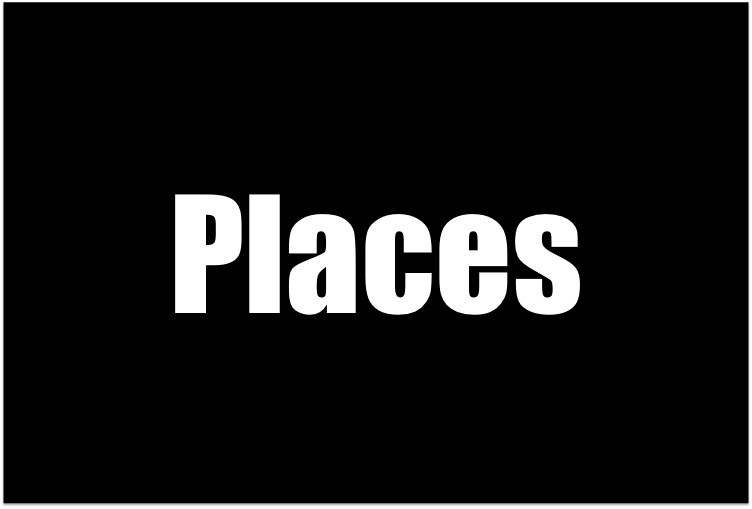 As a result, this summer will test Redd’s ability to build a local following from among the city’s residents and commuters, plus regional beer lovers and fans of the restaurant’s sister location in Carlstadt. Management made sure to stay true to the restaurant’s beer format while also infusing the menu with broadly appealing items that might help them build that following week after week: traditional bar food, salads, a kids’ menu, and a generous happy hour that runs from 3 p.m. to 8 p.m.
Redd’s Biergarten opens to the public Monday, April 18th at 11 a.m. The restaurant has two entrances: 220 Market Street, and 37 Edison Place. Visit reddsbiergarten.com for more information.